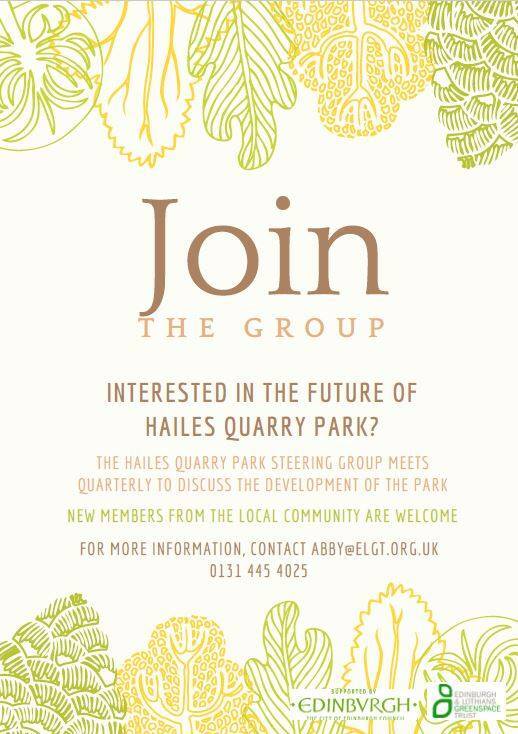 The Hailes Quarry Park Steering Group would like to invite anyone with an interest in the future of the park to join them at their next meeting on Wednesday 31 October 2018, 3.30pm – 4.30pm. The group meets quarterly to hear about what’s happening in the park and to give feedback. At the last meeting the group discussed the new wetlands area which had struggled a bit with the very dry summer, an issue this area of the park doesn’t usually face! If you want to know about what’s happening in Hailes Quarry Park, you can now check out the latest events and activities on Facebook. If you would like to come along contact Abby on 0131 445 4025 or abby@elgt.org.uk.